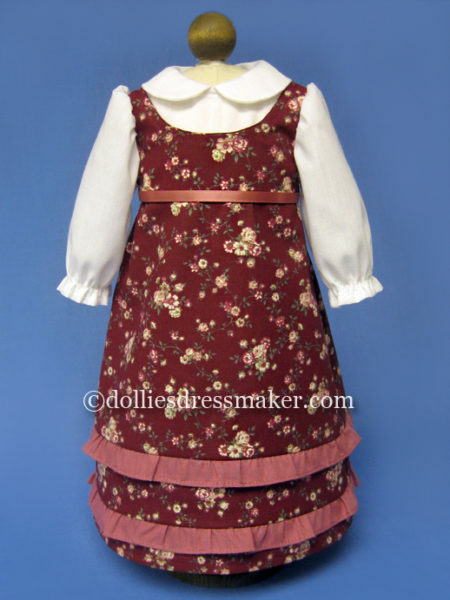 Orphan outfit for Nellie inspired by illustration in the book “Changes for Samantha: A Winter Story” (ORIGINAL VERSION). 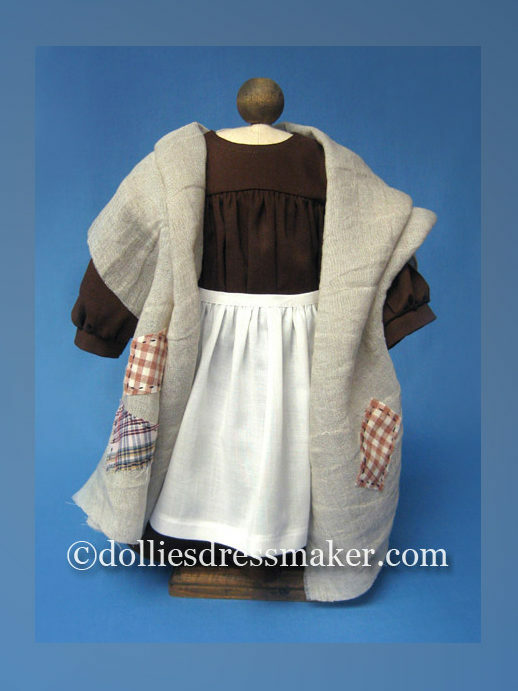 Three piece ensemble consists of dress, apron and shawl. Fringed raw edges on shawl with three hand sewn patches. 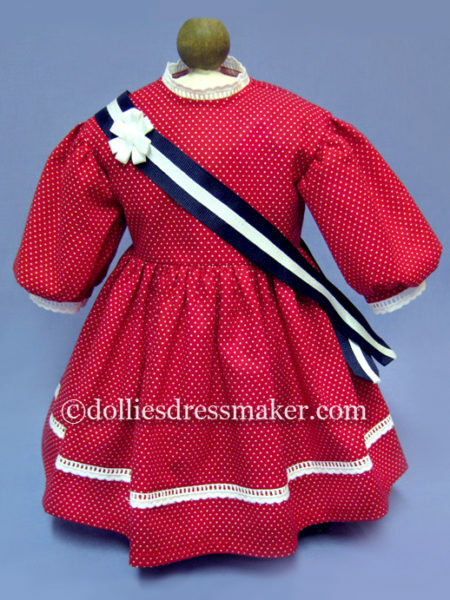 This outfit a perfect example if a Nellie book outfit that was never made by American Girl. 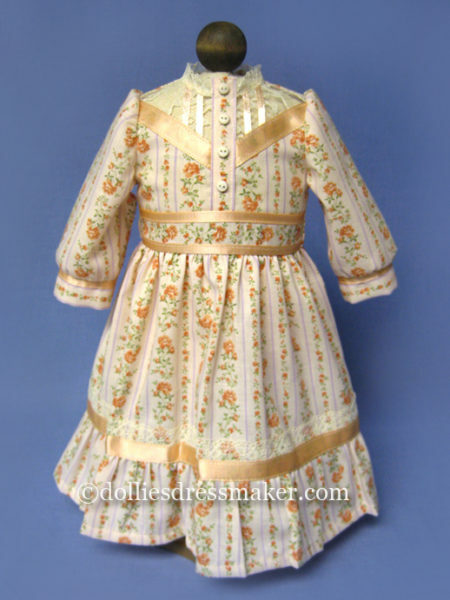 This is the outfit that Nellie wore while living in the orphanage in NYC. 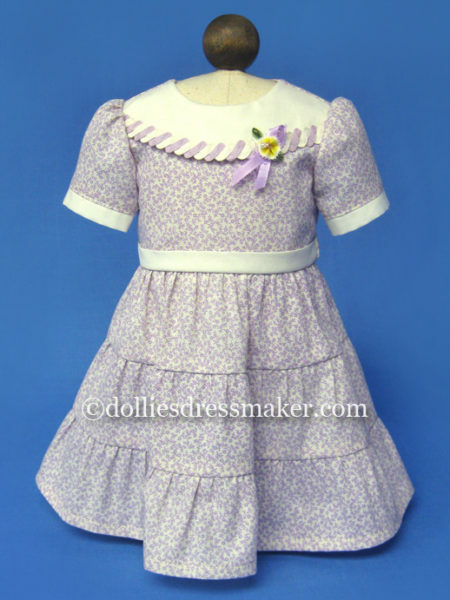 It fits my Nellie perfectly and the quality is excellent, as always. 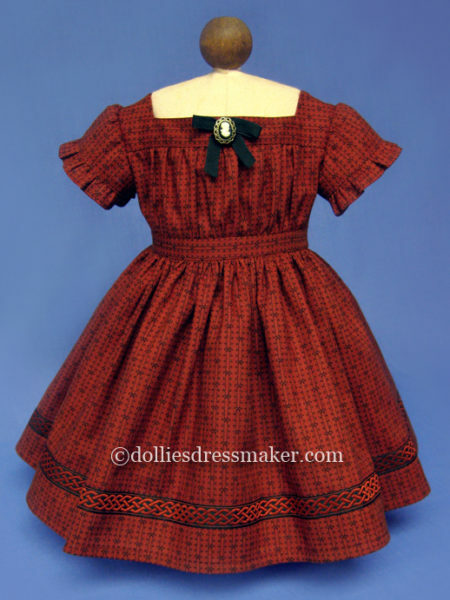 This outfit is a MUST HAVE for any Nellie owner. I wish I had bought it much sooner!